При всей своей внешней крутости и эпичности, босс фактически является манекеном для проверки дпса рейда. Долгий таймер берсерка не дает ему повторить судьбу Саурфанга, который, пусть и при простой, как валенок, механике, раздавал дюлей незадачливым рейдерам аж до введения бафа, входя в энрейдж. Sad but true. X-42, attack! In the name of Mobius! было добавлено много различных карт, в том числе и Железный исполин. В Hearthstone он является легендарной картой воина. Так как в "Legion" появятся гномы-охотники, а с ними возможность приручать механических животных, возможно (согласно петопии) "Железный исполин" может стать очередным приручаемым боссом-питомцем, как это было с Хромаггус и Химерон. Обращаю ваше внимание на то, что механических питомцев смогут приручать только гномы и гоблины, а всем остальным придется использовать особый предмет (создаваемый в инженерии), для приручения мех. питомцев. Начиная с препатча Легиона охотникам гномам и гоблинам дадут возможность приручать механизмов, остальные должны будут скрафтить матрицу меха-привязки уже в новом дополнении. Сегодня сделала по гайду всё, кроме инженерской детальки. Убила боссов, собрала детали и краску. После того, как нажала на краску, пет собрался и я его приручила. I'm waiting for some Marvel Juggernaut comments. Most likely this was constructed by Siegecrafter Blackfuse. 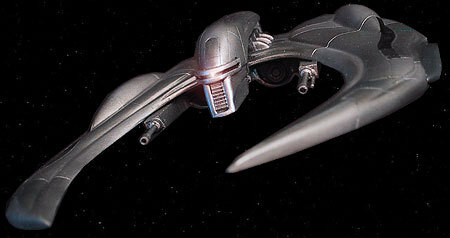 Just me who can't help thinking of Cylon Raiders when they see this dude? today on 10N we've experienced a strange behavior of the boss, perhaps a bug: he was casting the Demolisher Cannons in every Assault Mode as well as Siege Mode, effectively making the fight as tough as it can get for our three ~535lvl healers (monk, paladin, priest). This glitch was not true for our last week's kill when we killed it on our first pull ever (Stormscale - EU). Now, you see that Demolisher Cannons should be only present during Siege Mode (~150k to random players). Having those in phase I is a mini hardmode in itself, so I was just wondering if anyone else out there had the same experience. I can share screenshots with the boss casting both Demolisher Cannons and Mortar Cannon in phase I, as well as damage taken sources from recount during phase I and all that jazz. We could not kill it tonight because apparently there was some login issue across many realms (I think forum threads on the topic are popping up like mushrooms as I type), which kept our DK from logging in on his main and 3 alts after a few embarrassing pulls under the Demolisher Cannon heavy fire. I got pretty pissed so thought to share this. My ticket is still pending. EDIT: Quick update is that, not surprisingly, I was advised to file this as a bug report. In any case, the boss is downable, no worries at all, it's just that there is a discrepancy between the Journal description of the fight and the actual behavior of the boss which you should take into consideration if you'r new to the Juggernaut (i.e. the Demolisher Cannons cast in Assault Mode). He's a bit easier than the other bosses, but he gets a crap ton of points for looking badass. I ran this last night, and while it was quite difficult the first time, I was quite irate when I received no loot. No bag, no gold, nothing at all. NOO! The giant Iron Juggernaut of Death was built to help the horde, not destroy it! Gotta love the raid journal descriptions on this one - for Crawler Mines: "A particularly brave player may stomp on a mine 1,250,000 physical damage and the player high into the air." Apparently by "particularly brave" they mean "suicidal or bubbled up so much they float". I'm amazed no one's made a Starcraft siege tank joke/analogy yet. Tanks, face the boss away from the raid. In terms of tank positioning, this boss is Megara 2.0. If you don't face boss away at all times, the group WILL wipe. When not on tank duty, stay at the back of the boss and jump on mines. If possible, tank boss at a location so that people can have their back to a wall or obstacle. The rest: Stay at the back of the boss, and do your stuff. Stay out of the fires, don't kite laser into the tar, and jump on mines if you can survive the blast and the fall damage. Iron Juggernaut isn't a complicated fight, but it is pretty interesting for the tanks. The fight is separated into two distinct phases: Assault Mode and Siege Mode. Assault Mode is a normal tank-and-spank with no adds to deal with whatsoever. There are mortars that are thrown as well as some light AOE, dodge the mortars and beat up the boss. The tank who is not tanking the boss needs to handle three Crawler Mines. Crawler Mines have a timer and explode for roughly 300k to everyone in the raid if they aren't stomped upon, and stomping upon them (clicking on them) causes the sacrifice to take 1.2 Million Physical damage (mititaged by armor). The off-tank who handles this then should only take around 600k damage and get knocked into the air. He'll take fall damage when he lands, so if he's at low health after the explosion, heal him up in midair. If you are not stomping on mines, stay away, the explosion hurts everyone nearby as well. If the tank can only get two, that's fine, one exploding on Normal mode is survivable. (This probably isn't true on heroic.) Only attempt to stomp on a mine if you have a high amount of armor, or a mitigation cooldown to survive the 1.2 Million blast. Immediately after the three crawler mines are done, the off-tank should taunt the Juggernaut off the main tank due to the stacking debuff, Flame Vents. The timing is really tight, so try and finish the tank swap before the Crawler Mines return so to not waste time. Siege Mode is where massive raid damage goes out. The Juggernaut bunkers down and no longer needs to be tanked, but will do constant AOE damage in Seismic Activity. He'll go through a cycle of summoning Explosive Tar (don't stand in it), a huge knockback in Shock Pulse (put your back to a wall), summoning Crawler Mines (tanks stomp on them), and firing his laser. No matter what you do, DO NOT run the laser through the tar. Position yourself so that when you are knocked back, you aren't trapped in a bunch of tar, but if you are trapped and the laser comes, your sacrifice is better than running the laser through the tar. After some time, he'll revert to Assault Mode. Before going into Assault Mode, he summons 3 more Crawler Mines. Only one tank should take care of it, because he comes back online while all three are in play. Lather, rinse, repeat, and you're done. Attack it's weak point for massive damage! The Iron Juggernaut bores its drill arm into the ground, causing the earth to crack and shatter. This effect ripples out into many directions, inflicting 73125 to 76875 Physical damage to those caught within its effect. This spell causes spikes to chase 3 players on 10 normal, and causes 73 to 76k damage per second of you standing in it. It chases you for approximately 10 seconds, and leaving a spike damage trail. It moves quite quickly, and makes it very difficult to heal Iron Juggernaut. Especially since it seems to always target ranged, and that usually means 2 to 3 of the healers are constantly moving. If you stand still in it, it will keep damaging you till you move, meaning it will continue to spike you till you die, even long after the other spikes have dissipated. So if you raid with one of those idiots that are always standing in fire, this is a spell that he/she will NEVER survive. Personally this spell is one of the worst parts of the fight with the Iron Juggernaut, and makes the fight my least favorite. I only just found out about this trick: if the mines are far enough from the boss, they don't do any damage when their timer expires. This means that in heroic10, where the usual strat is to have the raid knocked across the room out of range of Заряд мортиры, you don't have to stomp the siege-phase mines. The demo cannon damage keeps happening during siege phase, even across the room, so that's another reason not to stack up super tight, besides the tar and needing to react to laser on someone. Keeping people tight enough for a healing rain / efflorescence is tough, with holy radiance being even harder with people milling around because of tar + lasers + not clumping for demo cannons. Also a reason not to be stacked tight in phase1, since the nearly 200k hit (10H) taking more people low puts more people in danger of getting comboed by that plus something else, since it would be more people than the healers could direct-heal back up again quickly. And could be really dangerous if RNG happened to target two players that were within range to splash to each other. They'd each get hit twice. On the 10H attempt I'm currently looking at, we a healer death in siege phase that came right after 8 total demolisher cannon splashes at the same time (2 of them missed, and the only person that took two splashes was the warr tank, and one of them missed anyway.) That put healing behind enough that we lost the pally healer right after the shock pulse (3rd, I think) that hit one second after that round of demolisher cannons. I'd have to check other attempts to see if a pair of demo cannon shots often lines up with a shock pulse, or if that's just really really nasty RNG. My 10H main raid always has a shaman healer, which is very strong for siege phase. Besides the extra health giving a bigger cushion, they just do a ton of healing with rain. Perhaps we don't tend to clump as much and have demo cannon splashes. IJ was the 4th heroic boss that we killed, so we didn't have a ton of gear giving us massive health pools by then, so it was rougher then than it is now. Other stuff: Залп из мортиры is the assault-phase mortar blast. Залп из мортиры is the siege-phase mortar blasts from Заряд мортиры. My logs showed only a water elemental taking hits from it, since we outrange it (ranged pets can hit the boss without despawning from being out of range of the master, but not melee pets). If you stay in, red circles nearly blanket the ground! Typical 25H raids apparently chain healing CDs to keep people up through that damage, it's not really possible to avoid it except by outranging it. Just FYI for warriors ... You can Bladestorm and Heroic Leap during Seismic Blast and not get knocked back. I Ussualy use Heroic leap to the first mine, then use charge on the second and third (Double Time). At the least you can use intervine to an ally to not receive fall damage. Iron Juggernaut is now a legendary card in Hearthstone, in the Goblins and Gnomes expansion. Here is a guide on how to obtain the Iron Juggernaut Pet in all four colors. While this particular boss can't be tamed, he is involved in the taming process to get the model pet! in patch 7.0.3 you can create the Iron Juggernaut pet, and then tame him if you know how to tame mechanical pets. These juggernaut beasties are totally awesome and well worth the effort to get them; however, it is a very sad shame that they make so much noise, which doesn't even seem to fit with the mechanics of the beast. The clicking is fine and fits very well with its behavior, but the overriding echoing background noise sounds more like the inside of a manufacturing plant. It became unbearable for me and i had to quit using them :(. Took a few minutes to do, I didnt have any knock back at all. Around about 40% I did need a couple healing surges, then again at 25% but nothing to major just popped cds at pull and was gtg. Ended the fight at 75% health. Will update with higher difficulties. Issues with mythic soloing as 855 DK- jumping on the bombs will cause him to despawn at some point in the fight, never fails. I must have had about 20 attempts before I just gave up. I wasn't having too much trouble staying alive as Blood spec until he 'rumbled the ground' phase, or whatever, kicked me back and the debuff wore off, but I just couldn't finish due to despawning. Tried nuking pure DPS but just not strong enough yet. Maybe higher ilvl can nuke or blizz with fix despawning issue. Attempting to solo on Mythic, &*! @ing impossible as a prot warrior stupid pos keep despawning. God further proof of lack of hind sight and error checking on blizzard's part. No wonder their servers go down every other @#$%ing day. God this raid is retarded. In 7.2.0, was able to solo Mythic at 890 ilvl Fury Warrior. He does a lot of damage with dots that just get bigger and bigger so it is really a dps race still. Mythic: Vengeance DH 893. Tried to just burst down as Havoc but it was a no, he does ALOT of damage, maybe someone who has more damage can do it cus i got him to 30% before i died. Went in and tried as a tank and got him down but it was close a few times cus its pretty much damage in the fight and since you do less damage as a tank it takes longer. Solo'd Mythic with 110 Orc Fury Warrior at new ilvl 171. No real problems. I had to make use of healing throughout and then DPS rushed him at the end. Этот NPC может быть найден в следующих зонах: Осада Оргриммара. Overview – The Iron Juggernaut gathers energy as it assaults players with an array of cannons, lasers, and explosive attacks. Upon reaching full energy, the Juggernaut engages its Siege Mode, digging its claws into the ground and becoming sessile while employing new countermeasures. The Juggernaut cycles between these two phases until defeated. Position yourself carefully to control where [Shock Pulse] launches you. If targeted with [Cutter Laser], avoid leading it across patches of [Explosive Tar]. During Siege Mode, the Juggernaut deals sustained raidwide damage with [Seismic Activity]. Take turns tanking the Juggernaut to allow the effects of [Flame Vents] to dissipate. While not tanking, jump on burrowed Crawler Mines to prevent them from damaging the raid. The Iron Juggernaut is freely mobile while in Assault mode. Бурильное сверло – The Iron Juggernaut bores its drill arm into the ground, causing the earth to crack and shatter. This effect ripples out into many directions, inflicting 170 Physical damage to those caught within its effect. Лазерный ожог – The Iron Juggernaut's tail cannon now focuses briefly on random players. Inflicts 568 Fire damage to random players, and sears their flesh for an additional 125 Fire damage every 2 seconds. Mortar Cannon – The Iron Juggernaut's top cannon launches shrapnel and explosives at a random player, inflicting 568 Fire damage to enemies within 8 yards of the blast. Crawler Mines – The Iron Juggernaut releases several Crawler Mines that scurry in the direction of random players, burying themselves partially into the ground. Once they burrow, they begin a detonation sequence. At the end of the sequence, they will detonate for 681 Physical damage to all players. A particularly brave player may stomp a burrowed Mine into the ground, stifling the explosion but causing a localized detonation at their feet. This explosion inflicts 2839 Physical damage and knocks the player high into the air. Рикошет – The Iron Juggernaut launches the sawblade from its arm, causing 795 Physical damage to players that come into contact with the blade as it whirls and ricochets between distant players. Струя огня – The Iron Juggernaut emits flame from its frontal vents, inflicting 681 Fire damage in a frontal cone. This effect applies Ignite Armor, which increases damage taken by Fire effects by 10% sears the target's flesh for for 68 damage every 1 second. This effect stacks. The Iron Juggernaut plants itself in its current position, boring deep into the ground. It will no longer focus on a single target. During Siege mode, the Iron Juggernaut releases crawler mines at an increased rate. Сейсмическая активность – The Iron Juggernaut's drills deep into the earth, causing a violent earthquake. This earthquake inflicts 91 Nature damage every 1 second to all players. The seismic activity causes intermittent Shock Pulses. Шоковый импульс – Shock Pulse causes a wave of force that knocks players back significantly. Разрушительный залп – The shoulder-mounted turrets of the Iron Juggernaut fire high into the sky over random players, inflicting 341 Fire damage to players within 6 yards of each blast. Режущий лазер – The Iron Juggernaut's tail cannon now traces the ground as it chases each target. The laser inflicts 454 Fire damage every 1 sec to players with which it comes into contact. Взрывоопасная смола – The Iron Juggernaut spews tar in all directions. Standing in tar deals 45 Nature damage every 1 second and reduces movement speed by 30%. If a tar puddle comes into contact with the flames of the cutter laser, the puddle will explode, inflicting 454 Fire damage to all players. Заряд мортиры – The Iron Juggernaut's top cannon rapidly fires numerous Mortar Blasts towards one of the Iron Juggernaut's sides, dealing 795 Fire damage to players within 8 yards of each blast.